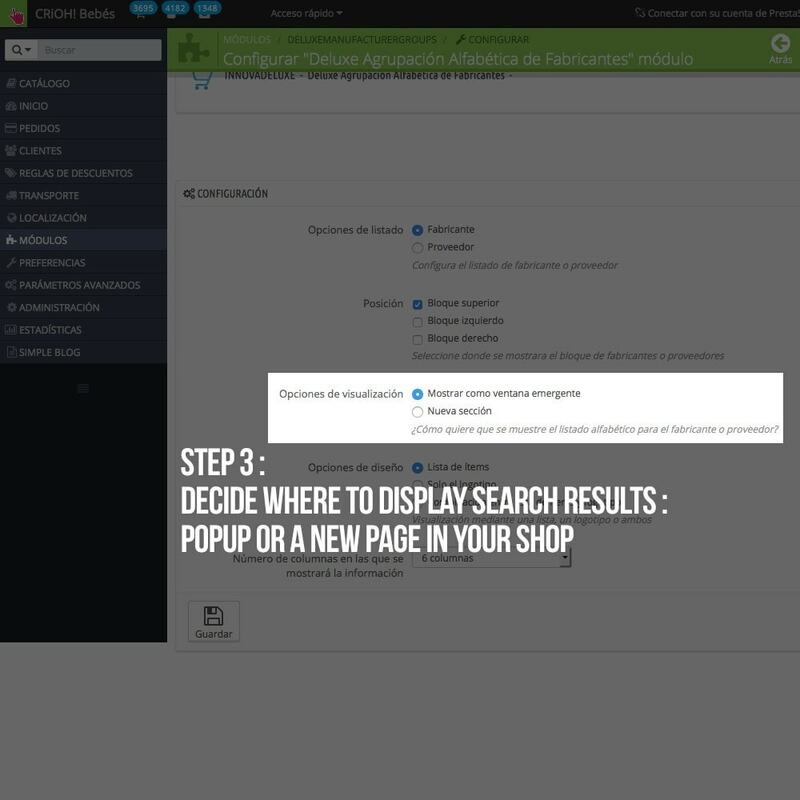 You’ll be able to display a manufacturer or supplier search block displaying results in a popup or in a new page in your shop. 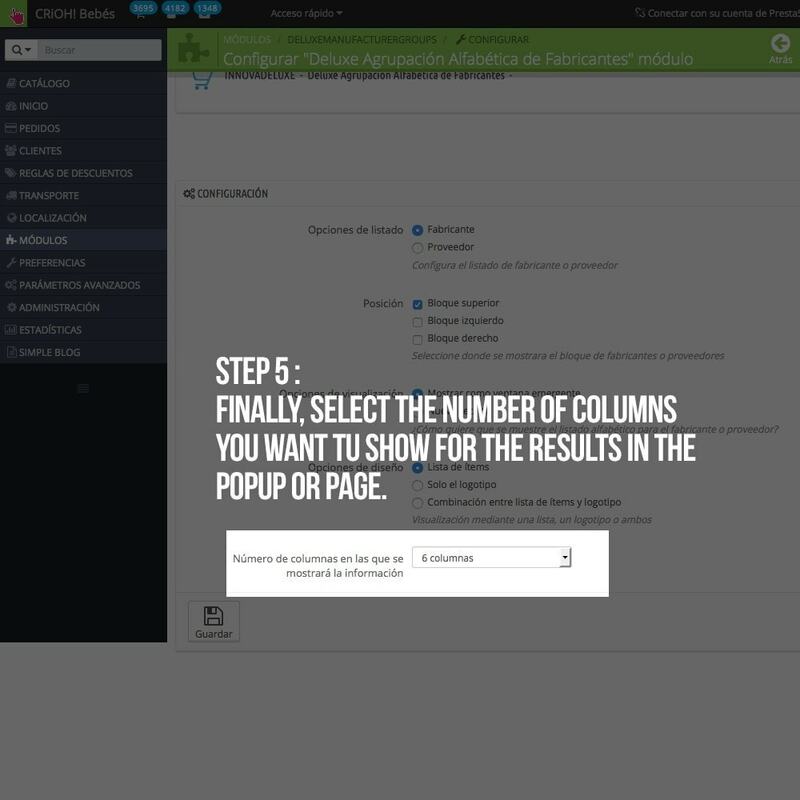 Results will be displayed alphabetically ordered and by columns for your customers to search in a fast way every product they search. 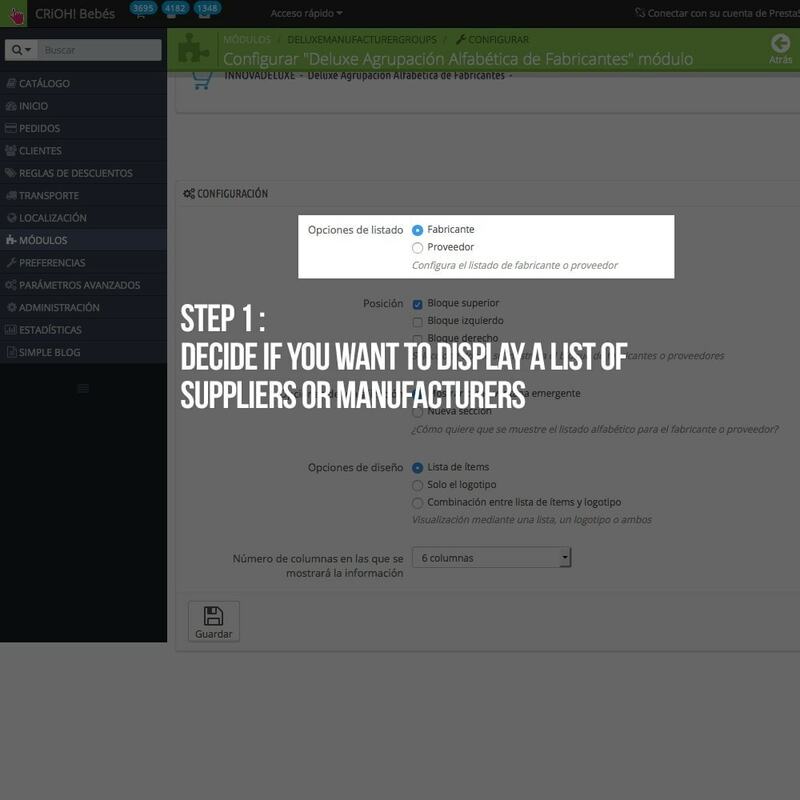 By clicking on a manufacturer or supplier, they will be taken to the product list in your shop for this manufacturer or supplier. 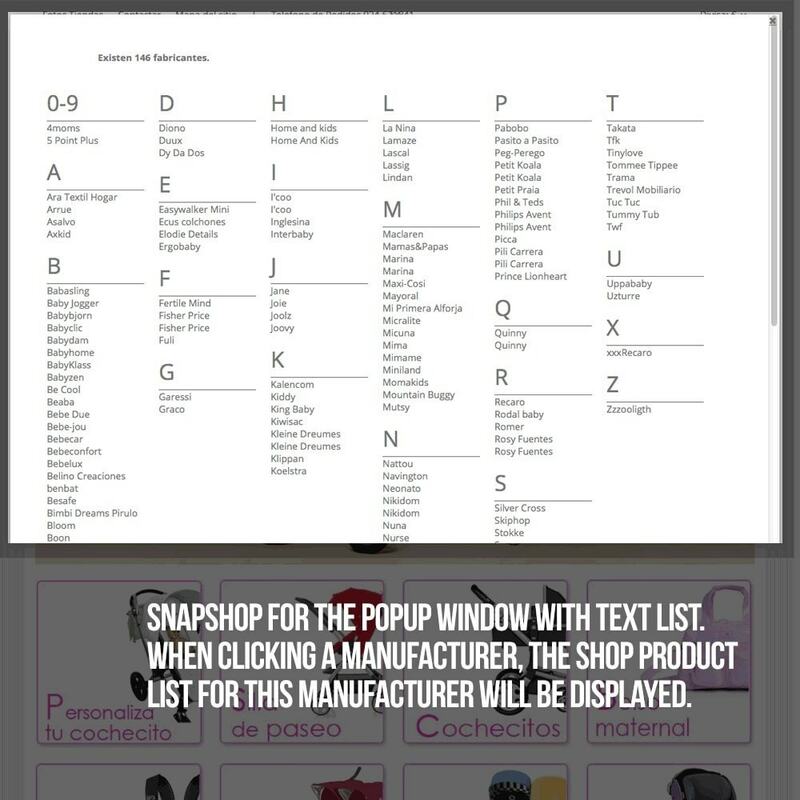 If you have installed our module Corners/Landing Pages, especially developed in order to promote manufacturers, when clicking on a manufacturer or supplier, the user will be taken to the manufacturer or supplier corner if available. 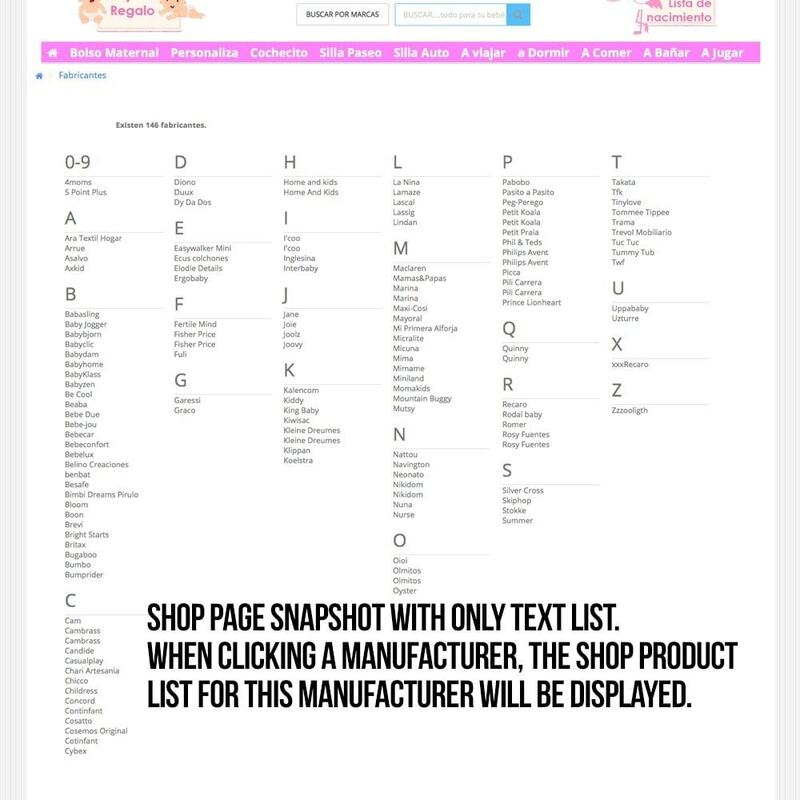 From this section, you’ll be able to browse all the manufacturer promotions and his product list in your shop. 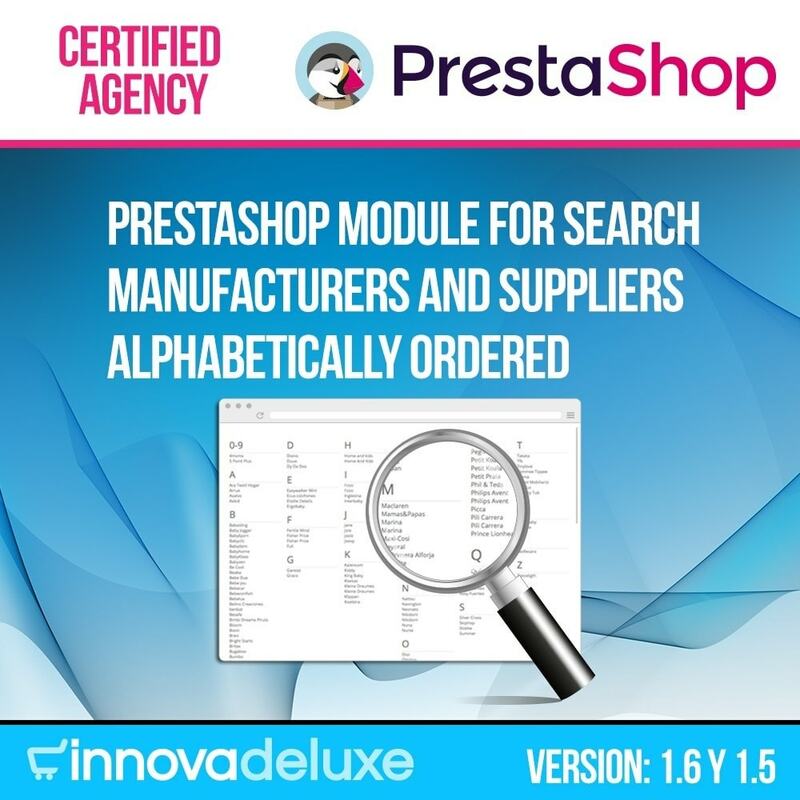 Now you can improve your manufacturers SEO positions in an better way. 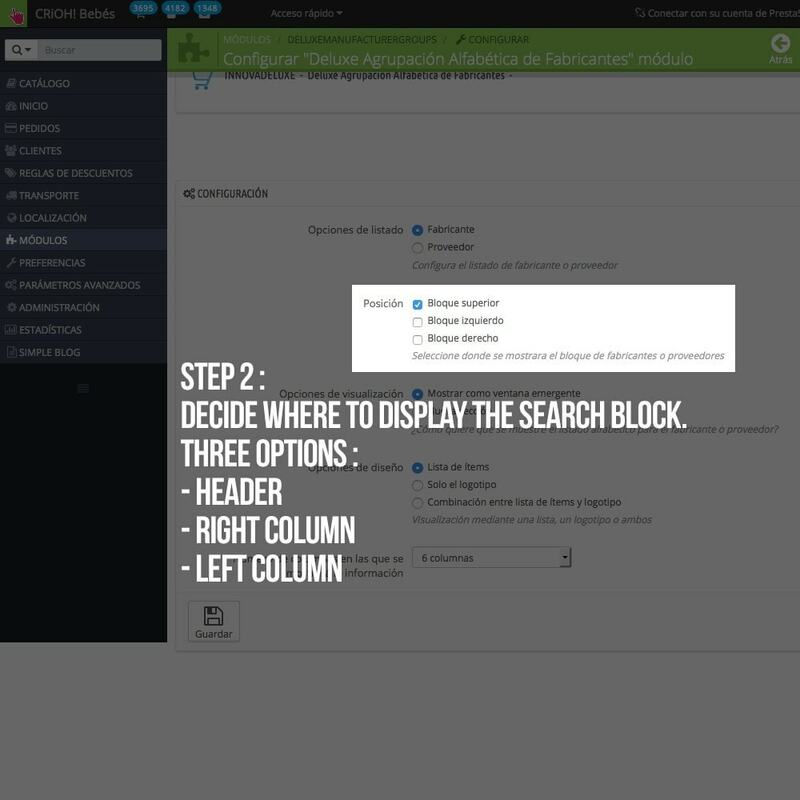 Decide if you want to display search results in a new page or a popup. 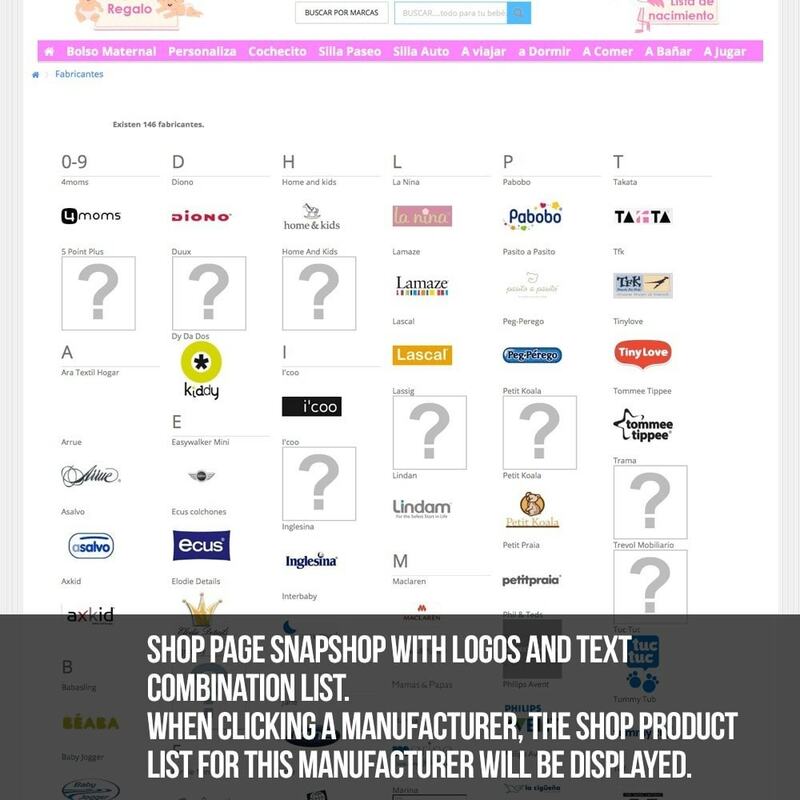 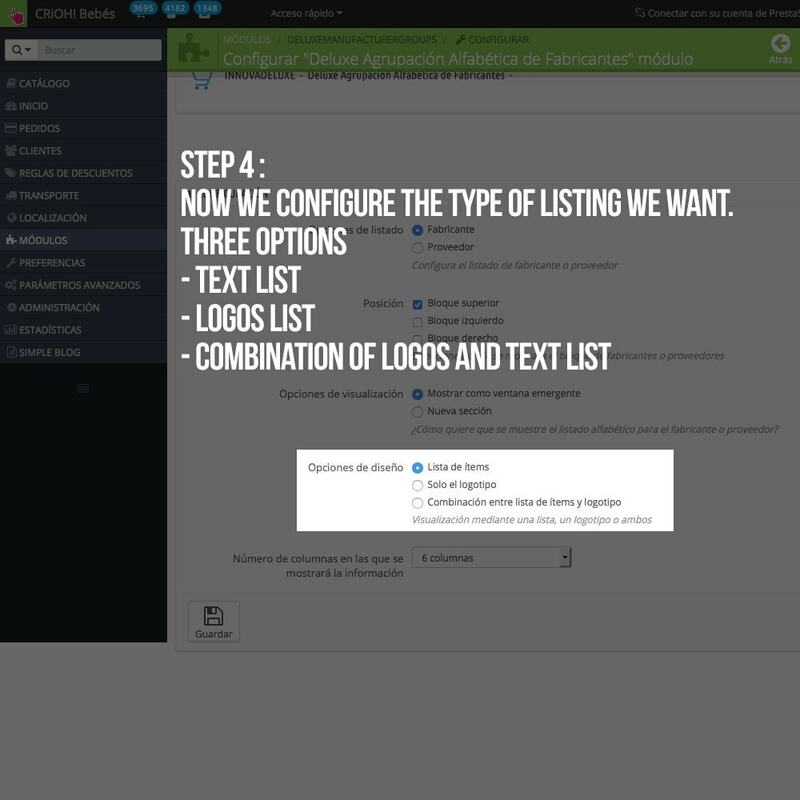 Decide if you want to display lists by using a combination of logos and text linked to the available products in your shop. 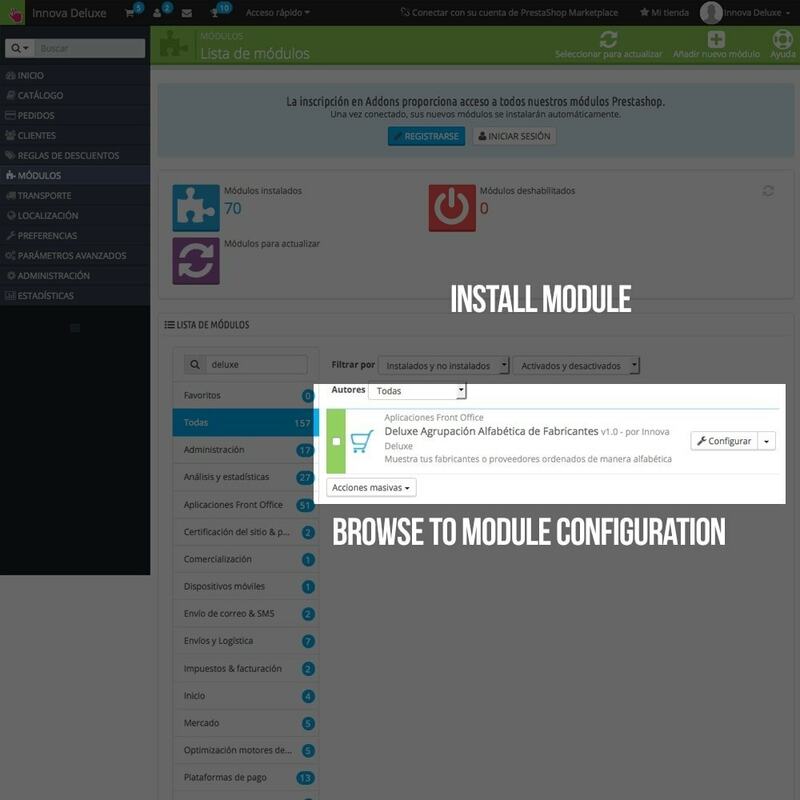 Great module and the developer is very quick to help on all issues if there are any, this is a great addition to any site.